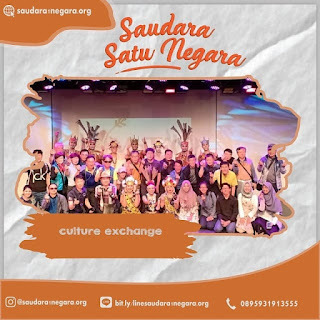 SaudaraSatuNegara#3 Special Edition is a community empowerment program to the community in the frontier circle of Indonesia which is directly adjacent to neighboring Indonesia which combines training and debriefing of participants with the capability of international community empowerment. We invite Indonesian youth to improve their insight and capability in the field of community empowerment towards the international level by joining a community development workshop in Singapore on the first day and then involved in a community empowerment program in Tanjung Pinang, Riau Islands to apply their knowledge. The departure point is the airport in the city that is written. The departure point is not related to quota. Volunteer transportation from the area of origin to the point of departure is the responsibility of personal volunteers. Have good interpersonal skills, communication and relationship building skills. There are no special educational backgrounds and required language skills. Make twibbon at bit.ly/maketwibbonssn3 or if you have trouble using twibbon.com you can create it manually with png files that you can download at bit.ly/makepicsartssn3. After uploading it on your social media, tag @ brother1country along with 10 friends. The tutorial can be seen at https://www.youtube.com/watch?v=3dQANXgScdg.